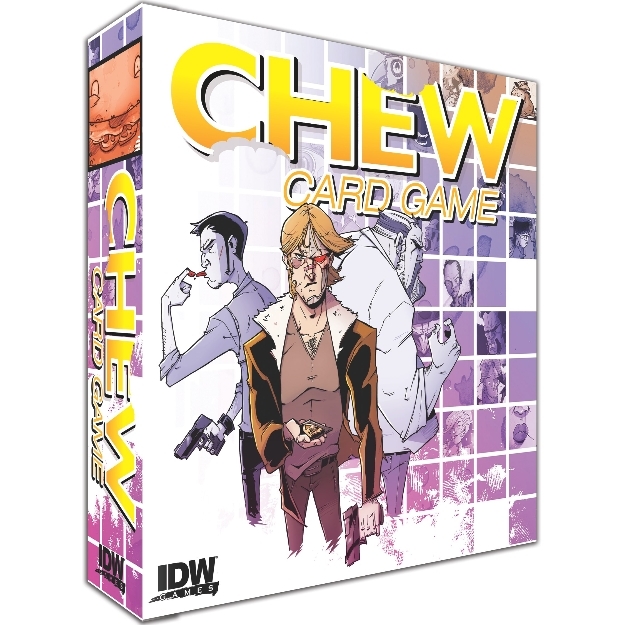 At the Diamond Retailer Summit, IDW Games announced a deal with John Layman and Rob Guillory that will create a new line of CHEW tabletop games for fans to sink their teeth into. The smash-hit comic series is already on its way to an animated adaptation, and starting in early 2015 fans hungry for more CHEW will have yet another way to devour their favorite title. Look for Chew to hit stores in early 2015, and in the meantime IDW Games will dole out bite-sized teasers on www.idwgames.com.